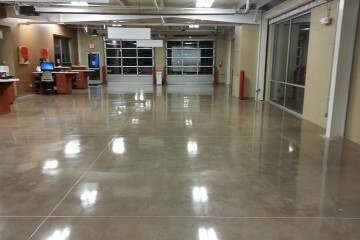 Looking for the best concrete resurfacing contractor? 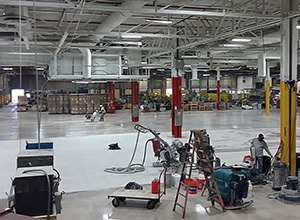 We are dependable and efficient commercial, industrial & residential concrete flooring contractors who will finish any and every project thoroughly. We believe in getting the job done right the first time. 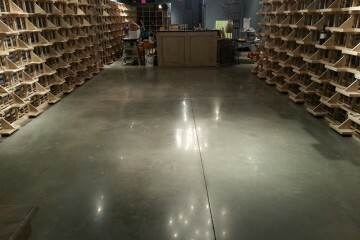 Concrete floors is the best solution for commercial businesses. 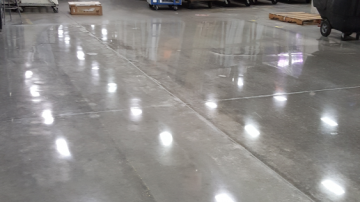 We have resurfaced many commercial concrete floors in Atlanta area for businesses like restaurants, warehouses, production areas, office buildings and more. 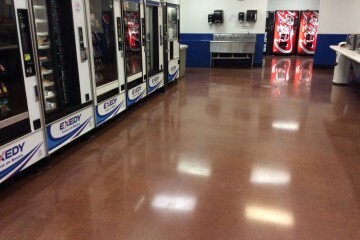 Epoxy floor coating gives concrete an extensive shine and high gloss surface and is also highly used for commercial and industrial buildings with heavy foot traffic. 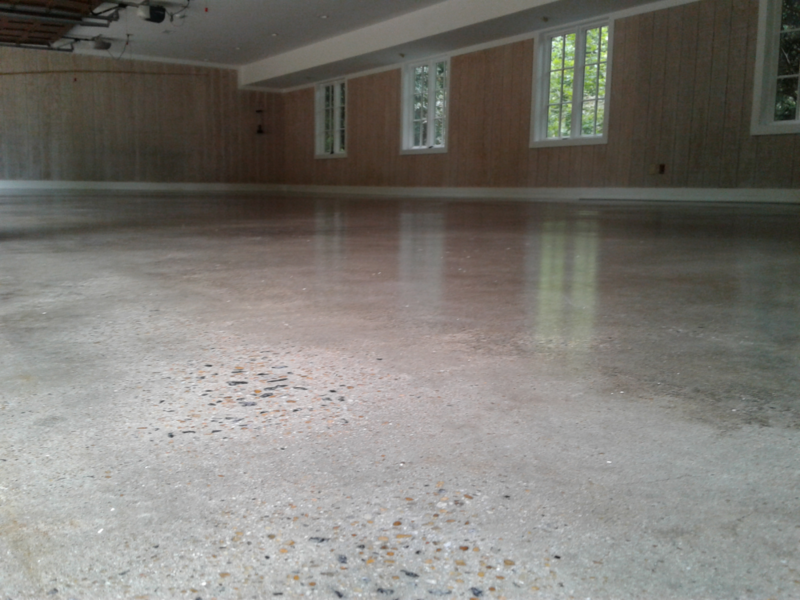 Flawless Grind and Polish did an excellent job of refinishing my concrete floors in my Stockbridge Italian Oven Restaurant. Not only was Melvin Johnson, the owner of Flawless Grind and Polish, on the job every night but he did the work over an extended period of time so I would not have to close the restaurant and therefore lose revenue. The restaurant has been open for 15 years and the high volume of business really took a toll on the floors. Flawless Grind and Polish brought them back to the appearance of 15 years ago. I highly recommend this company for any type of flooring, I have retained them to maintain the floors on a bimonthly basis. 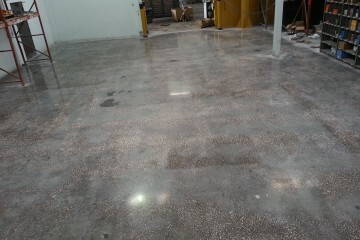 Melvin and crew prepared my painted basement concrete floor for tile installation. 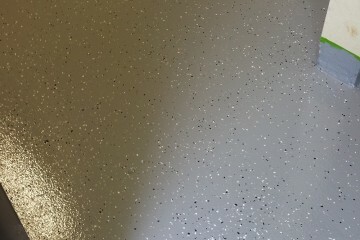 After contacting Flawless Grind and Polish, Melvin came out the same day to give me an estimate! I couldn't get other contractors to even call back! He and crew came out days later (on a Sunday to fit my schedule) to grind the floor after I accepted the estimate. They did a great job. Thanks so much!!! Melvin @ Flawless Grind went above and beyond expectations! 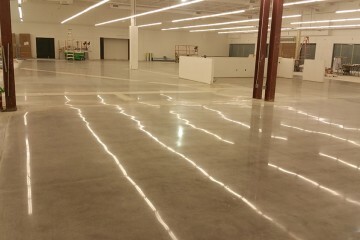 We had a deadline on a 18000 sq foot retail space he helped us meet it with his long hours. 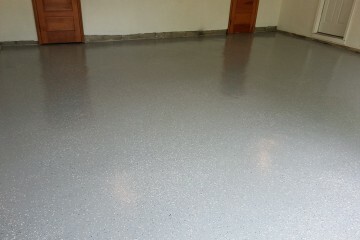 If you want a unbelievable looking floor call the guys at flawless. It was a very daunting task. I had just moved into my new offices and the floors were a complete mess. Three different finishes one in each room and they were all ugly. I wanted a simple and easy solution that could be done easily and make my new office look terrific from the ground up. Flawless Grind & Polish was an easy choice!!! 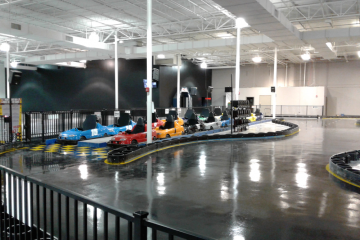 There incredible staff was easy to work with and very knowledgeable. It was an extremely easy process and the out come was amazing. I highly recommend them for all of your flooring needs. 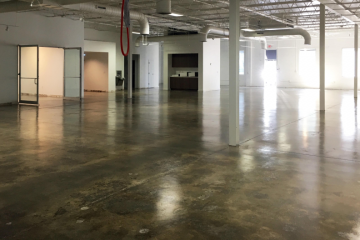 We worked with Flawless Grind and Polish Flooring to remove years of peeling paint and carpet mastic in our 10,000 sq ft loft office conversion. From quotation through final inspection they were very responsive and professional. 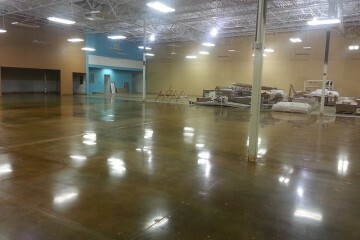 Their team worked diligently to deliver us truly flawless floors on a tight schedule. 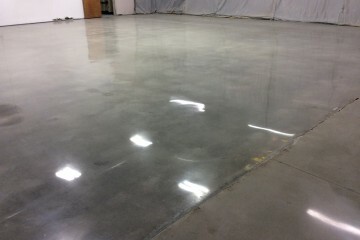 I’d recommend them without hesitation to anyone in need of concrete floor refinishing. 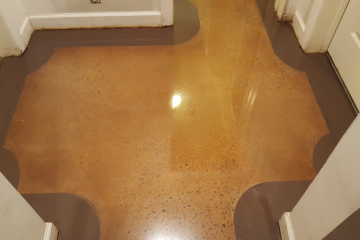 At Flawless Grind & Polish Flooring, we have worked extremely hard to build up a concrete reputation of being the leading name in polished concrete related services and solutions. It is not just the quality of work that defines us; it is the whole process of how we strive hard to understand the client’s requirement and fulfill them in the most optimal manner. The level of satisfaction that we guarantee sets us apart from the competition. One of the factors that give us a true edge in this industry is our extensive expertise. We work with a highly talented team that allows us to offer a diverse range of concrete related services under one roof. We have mastered the most high-end tools and technology in the construction industry. Honesty and integrity are the values we stand by. We serve each client with great passion and complete commitment. 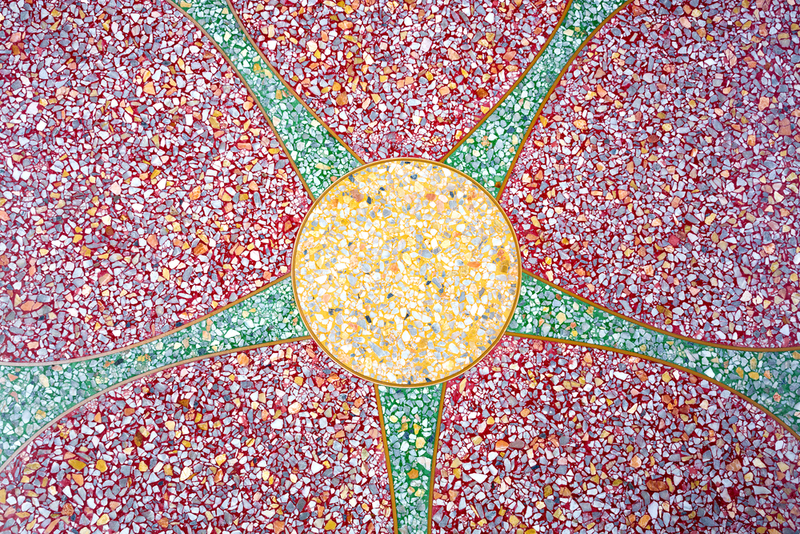 Our ultimate goal is to offer you maximum value and satisfaction through our unparalleled quality of work. Experience wins where everything else fails. And that is exactly what helps us deliver customized solutions even for the most complex of requirements. 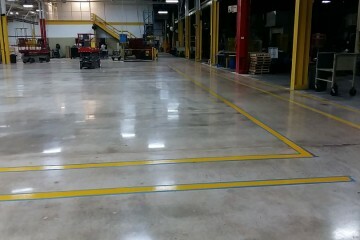 With thousands of closed concrete resurfacing projects under our belt, we are the team truly trusted by clients. We have a customer-centric process that starts from understanding your requirements and doesn’t end until you are completely satisfied. 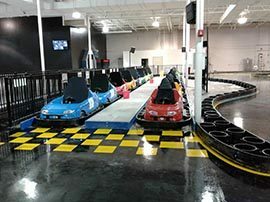 Our fail-safe process helps us deliver quality without exceeding budget and timelines. Despite being the leading force in this industry, we always strive to improve. We promise to keep raising our standards to meet the changing requirements of our clients. 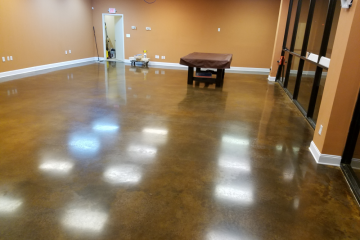 Flawless Grind & Polish Flooring, LLC, established in 2010, is a commercial, industrial and residential concrete polishing and epoxy coating contractor. 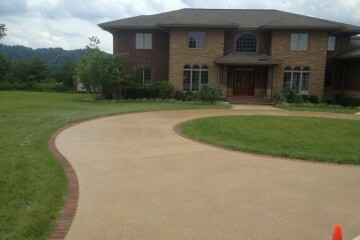 We grind, polish and fix concrete whatever way the customer wants it, with any color stain or shine. 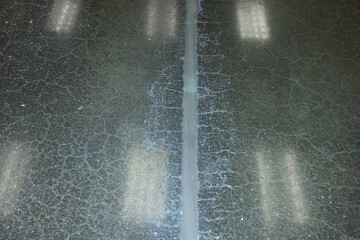 We can also apply epoxy resin coatings. 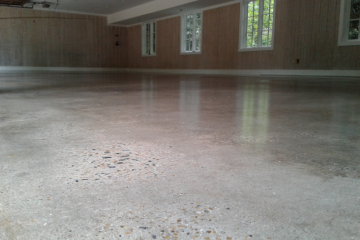 We have refinished and restored problematic concrete floors of all kinds and all ages. 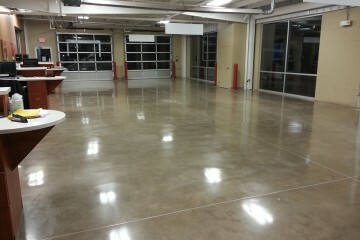 We’ve honed our skills on everything from a slab many decades old to working on a new construction site. 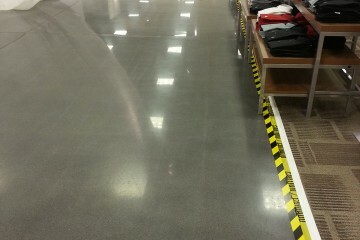 We love seeing a dirty, grey floor transformed into a superb-looking, durable, easy-clean floor. 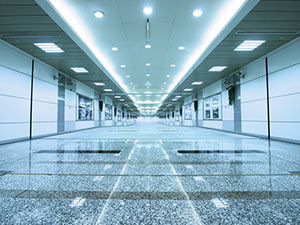 The life-cycle cost can be up to 60% less than traditional floor coverings, and the customer gets a stunning, tough and hard-wearing floor with a lifespan as long as the building itself. 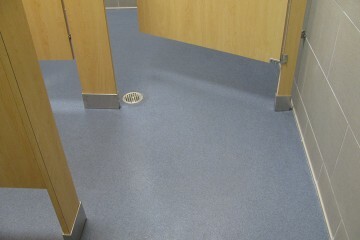 What’s more, the floor is almost maintenance-free. Sweeping, vacuuming or mopping will keep it in top condition.